Warner B. Sizemore (b. Oct 23, 1925 d. Apr 11, 2017 Albuquerque”Obituary: Warner Brandon Sizemore”, Johnson City Press, Apr 11, 2017, retrieved 15 April 2017) (M.A., Temple Univ., B.D., Lincoln University, N.D., The International University of Naturopathic Sciences), is a retired Professor of Religion at Glassboro State College (now Rowan University), and was Executive Editor of Kronos. Together with Dr Robert H. Hewsen, and Prof. Lewis M. Greenberg, they established the Center for Velikovskian and Interdisciplinary Studies in March 1975, affiliated to the Department of History at Glassboro. Sizemore summarises his association with Velikovsky in an article “A Personal Memoir”, published in Aeon in Nov 1992.Warner B. Sizemore, “A Personal Memoir”, Aeon III:1 (Nov 1992) He first heard of Velikovsky around fives years after the publication of Worlds in Collision, began corresponding with him, followed by visits to Velikovsky’s home in Princeton, whereupon a lifelong friendship developed. 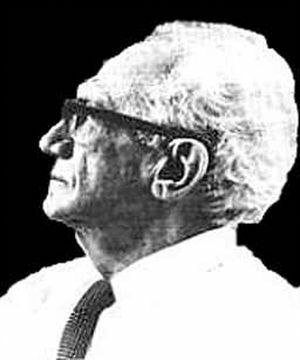 “Velikovsky, at times, contributed articles to both these publications; often articles from unpublished volumes too long delayed. I hasten to add that Velikovsky was not always easy to work with, as the editors of both journals will readily attest. If he did not like an article or some editorial policy he was very uncooperative.”Op cit.